With scrapbook, you can save all the pictures of your kid in one place. Image courtesy of Facebook. Facebook started out for fun-loving college students, but in a sign that the demographic is changing, the social network is adding a new setting called scrapbook. Scrapbook allows partners to tag pictures of their little loved one and store them all on one page. The photos appear in their own section on your timeline, as a way for friends, family, and yourself to easily go back and look at pictures of your precious little humans. Parents can create a scrapbook for anyone under 13, the age at which new users can register for their own Facebook page page. You can create your own scrapbook or co-own them with a partner that you’re listed as in a relationship with on Facebook. Scrapbooks are more selective than actual pages and have increased security settings. For example, instead of just naming the tag after the person, you can also name it something creative, like initials or a nickname, if you don’t want to put your child’s name on Facebook. Additionally, only the partners who created the scrapbook can tag pictures of the child for now. Although the setting is catered toward little humans, I imagine that Facebook stop won’t stop anyone from tagging pictures of a dog or other furry creature that is practically their child anyway. 1. Click About on your profile page. 3. There’s now an invitation to create a scrapbook. Click on Get Started. 4. 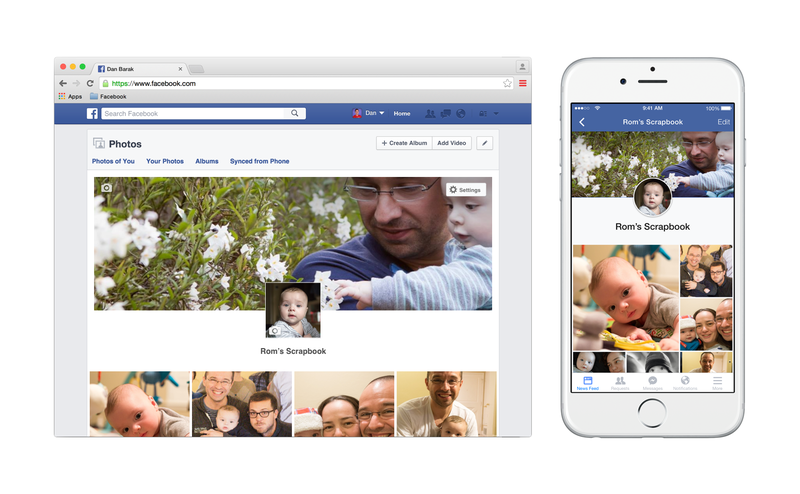 (Facebook walks you through) Add your child as a relationship to you on Facebook. 5. (Facebook walks you through) Let your partner tag your child, too. I think that’s really neat.